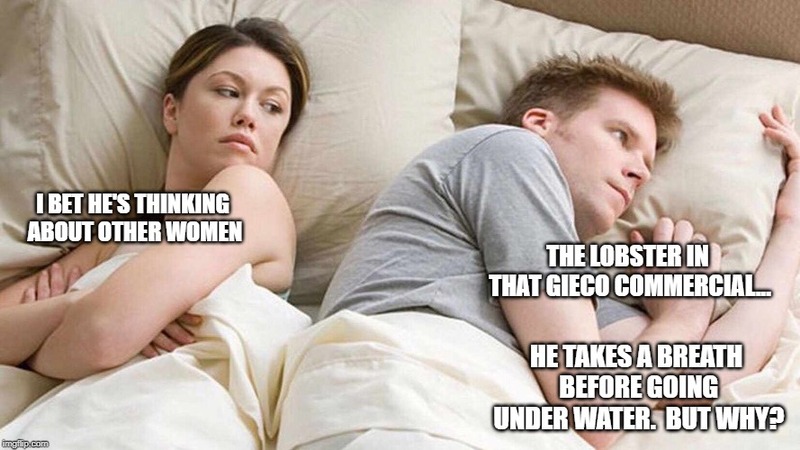 I BET HE'S THINKING ABOUT OTHER WOMEN; THE LOBSTER IN THAT GIECO COMMERCIAL... HE TAKES A BREATH BEFORE GOING UNDER WATER. BUT WHY?